Prospective drivers younger than 17 years old must follow the state's graduated licensing system before attaining a driver's license with full driving privileges. Graduated licensing is all about stages: Stage one requires soon-to-be drivers to get an Instruction Permit. Stage two is the Intermediate Permit. This stage is the last hurdle to leap before you get a full driver's license. Phase one of the learning process begins with getting a learner's permit. This permit allows the driver to operate a motor vehicle only if accompanied by a licensed passenger 18 years old or older. The permit is valid for 1 year and costs $40. While you have the permit, you must complete 50 hours of behind-the-wheel-training, with 10 hours must be at night. The Wyoming Department of Transportation provides a log sheet to record the hours. Once you've driven 50 hours, the log sheet must be signed by a parent, guardian, or other licensed driver who can evaluate your driving ability. Appear in person at a driver's license examination station. Present a valid birth certificate or other acceptable identification. Pass a vision test (20/40 eyesight or better without corrective lenses). Have minor's release form (available at exam offices) signed by a parent or guardian. Phase two of the skill-building process is acquiring an Intermediate Permit. 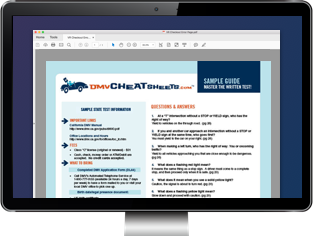 This involves many of the same processes as applying for a driver's license (you will take the on-road test), but it is still considered a permit, and it comes with restrictions. The permit must be held for 6 months or until you turn 17 years old. The fee is $40. You must have owned an Instruction Permit for a minimum of 10 days. Present valid identification. This can include the instruction permit, birth certificate, or other form of acceptable identification. Submit the log showing the completion of 50 hours of driving time, including 10 hours that must be at night. Pass the driving skills (on-road) test. Have a minor's release form (available at exam offices) signed by a parent or guardian. A permit holder operating a vehicle can only have 1 passenger younger than 18 years old in the vehicle (immediate family members are OK, though). Of course, if all your buddies are older than 18 years old and each owns a valid driver's license, you are in the clear. You can only drive between the hours of 5 a.m. and 11 p.m. without a licensed driver over 18 years old in the vehicle. This is unless you qualify for one of the numerous exceptions, such as a medical emergency or the need to drive for work or school. In order to receive full driving privileges at age 16 1/2 years old, which is the earliest you can do so, you will also need to show evidence of completing an approved driver education course. These courses may be available though your high school, a local community college, or other authorized business. Generally, the driving course you sign up for must offer a minimum of 30 hours of classroom learning and 6 hours of behind-the-wheel training. Once you turn 17 years old, if you can wait that long, all of this is irrelevant. If you are 17 years old you can apply for a full license without first having an Intermediate Permit or attending a driver's education class. For more information on driver's education or the graduated licensing process, contact WYDOT at (307) 777-4825.